If the Cactus baseball program ever returns to the heights of the late 2000s, it may remember this bunch of cardiac Cobras as the turning point. A record of 12-10 overall and 7-6 in the regular season does not warrant a school assembly, but it is heady stuff for a school with one playoff trip since Mike Tirella retired in 2010. At Deer Valley Tuesday, the Cobras trailed from the bottom of the first inning. But the visitors came alive with one out in the top of the seventh, picking up a walk and five hits in the next six batters to put together a five-run inning. The 8-5 win propelled Cactus to the top of the West Valley Region at 4-1, a half-game ahead of Lake Havasu. And Taylor Erwin’s second team is getting used to the late rally. A couple big hits in the first inning put the Cobras in a 4-0 hole that only grew. Cactus clawed back by getting some runners on and taking advantage of several Skyhawks throwing errors. With two outs left the visitors’ bats sprung to life. First, though, junior No. 9 Tyler Gearhart drew a walk. Junior outfielder Peyton Arsenault doubled to left, moving two runners to scoring position. Junior catcher Hunter Palomino plated both with a chopper over the first baseman’s head. Junior third baseman Caleb Cuthbertson quickly broke the tie by singling to left and advancing on a fielding error. Senior pitcher Mitch Downing doubled in Cuthbertson, then junior first baseman Ernie Romero doubled in Downing. Deer Valley (6-11, 4-8) looked in cruise control after first two innings. Senior pitcher Logan Livingston was in control early and added a single and homer at the plate. After his first inning single, senior Eli Elliott walked. Junior Christopher Peck followed with an RBI single to center. Junior outfielder Ashton Reagan walked to load the bases. Then senior outfielder Gio Dempsey unloaded them by doubling to the base of the center field wall. Livingston added a homer near the 352 foot sign in left center for a 5-0 lead. Downing adjusted and allowed only two hits the rest of the afternoon. “Coming out of the first few innings, I knew what I had to do. They definitely got some runs early and I was throwing too many fastballs. I started working my off speed and they couldn’t find it,” Downing said. His counterpart on the mound was in command until his teammates threw the ball all over the park. Cuthbertson walked to lead off the fourth and took second on a passed ball. Downing singled and Cuthbertson scored thanks to a pair of wild throws. Then junior Dustin Corrales hit an infield single and Downing scored on another throwing error. Deer Valley still led 5-2 after four innings, but the miscues added to Livingston’s pitch count and caught up with the Skyhawks late. In the top of the sixth, Downing and Corrales hit consecutive infield singles and Downing took third on yet another throwing error. Romero’s sacrifice fly cut the lead to 5-3. Erwin said he was happy to be on the other end of this coin. Monday, the Cobras lost 4-3 to Flagstaff Coconino and committed five errors. “You’ve got to give it up to Cactus finding a way to get base runners on. They put pressure on and we threw it away,” Rice said. These teams meet again at Cactus Thursday, giving the Cobras another chance to pull away atop the region with Lake Havasu. 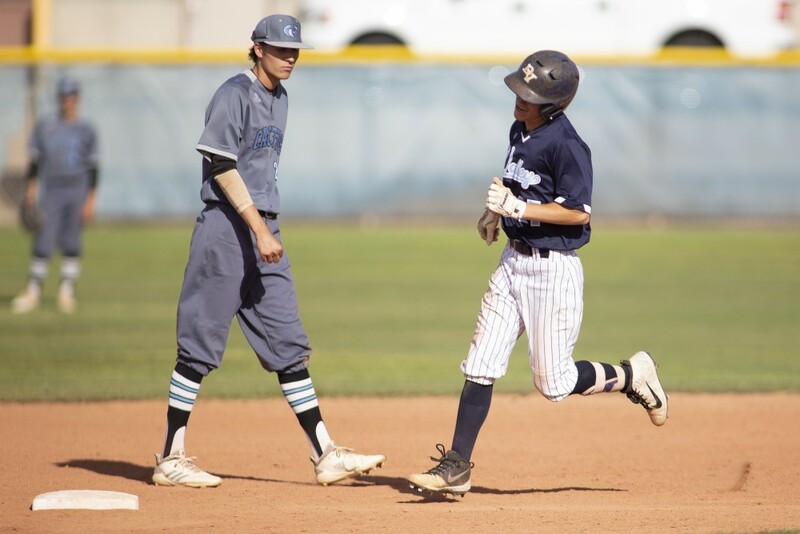 To save travel, the Knights play doubleheaders in region play, visiting Desert Edge for two Thursday and hosting Deer Valley for a pair last week. 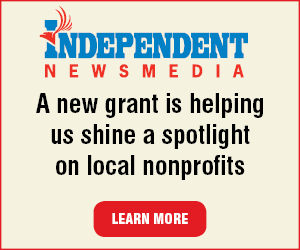 It is a very different West Valley Region after the dominant Sunrise Mountain and Greenway programs moved out. Cactus is looking to take a leap now that a title is within reach. Erwin said the team’s core of 10 juniors would benefit a ton from reaching the playoffs this spring, setting up bigger goals for 2020. “It would be amazing to win the region. My freshman year we made the playoffs and I want all of these guys to reach the playoffs too,” Downing said.